Path Solutions is a Fintech digital solutions provider serving 130+ Islamic financial institutions across 40 countries. The company offers a wide range of Sharia-based software solutions and specialized services for Retail & Commercial Banking, Investment Banking, Microfinance, SME & Asset Financing, Asset Management, Brokerage, Capital Markets, and Payment Services. The breadth of Path Solutions’ set of services brings unique convergence of domain and technology. Its processes and implementation methodology have evolved to align with different client segments, ranging from tier 1 multinational banks to mid-sized financial institutions, and microfinance companies. Path Solutions’ new age initiatives – Digital & Social Banking, Mobility solutions, Business Analytics, Risk Management & Compliance solutions cater to the evolving need for speed, reach and predictability. The company’s multi-award winning core banking platform is based on Service-Orientated Architecture (SOA), and supports open banking through open APIs and web services. This is delivered in a fully open but integrated, reliable and cost-effective environment. 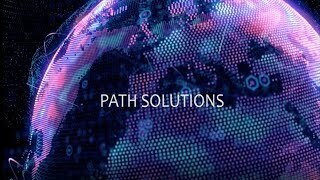 Path Solutions’ total commitment to open standards enables its clients to benefit from the latest technology advances ensuring business agility, continuity, data integrity and availability, and low downtime delivering a significant and immediate ROI. Path Solutions is headquartered in Kuwait, with three world-class R&D centres located in Lebanon, Egypt and India, and near-shore support offices spread across the United Kingdom, Malaysia, Pakistan, KSA, UAE and Bahrain, in addition to a global business partner network in four continents.